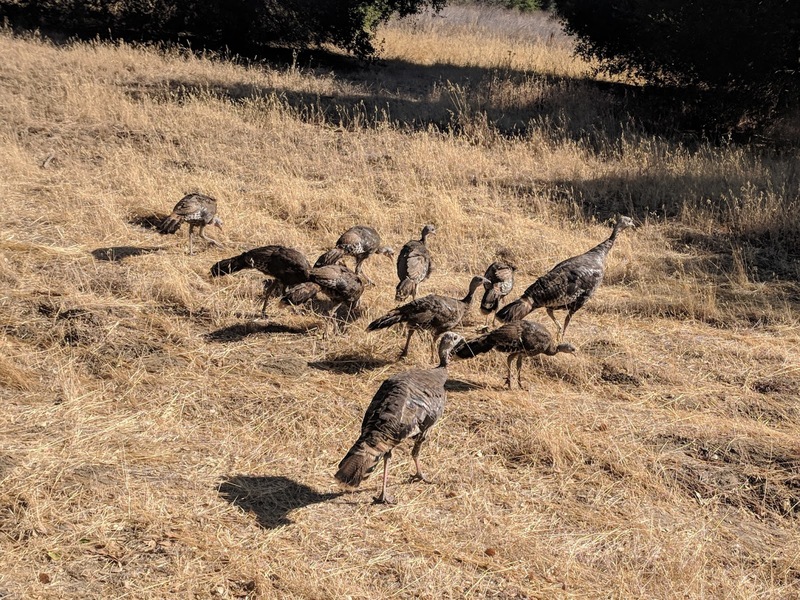 Remember the turkeys from a couple weeks ago? 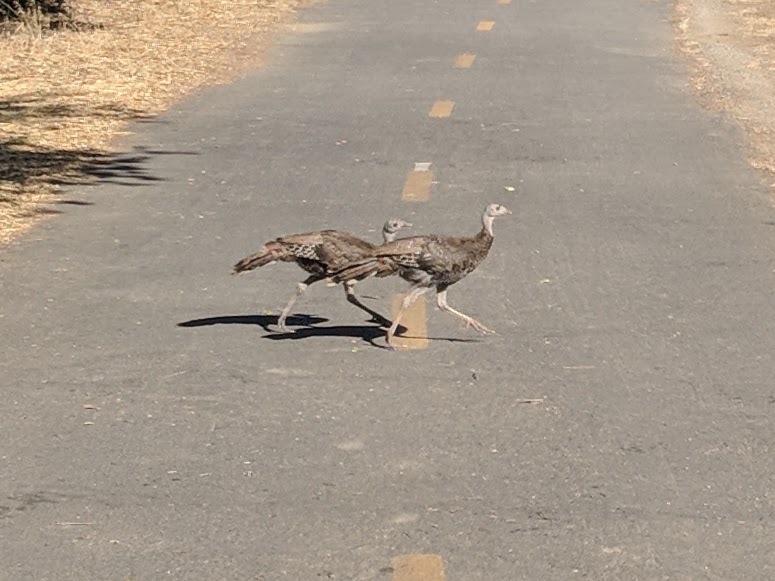 They are still hanging out near the Coyote Creek trail. The chicks are growing fast. 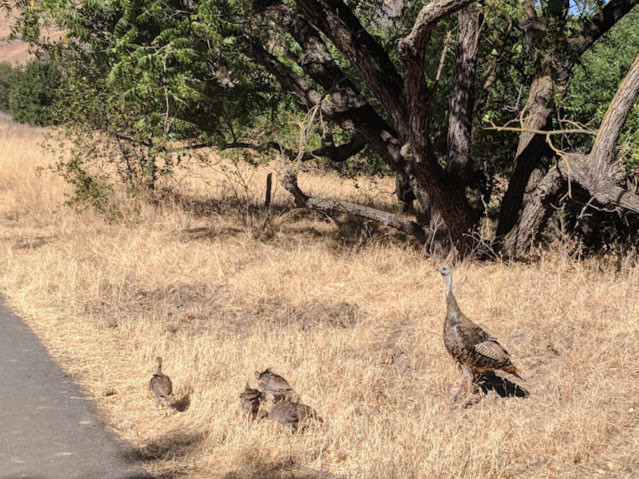 A little bit down the trail is the other family with some adolescent teenagers confidently crossing the road. And here's the whole family. It won't be much longer before the young will go out on their own.